Preposterous as all this might have seemed to some at the more cold-hearted end of the viewer spectrum, for those of us swept up in the onrushing drama it was impossible not to capitulate to the sweeping romance of it. So much attention was focused on star Aidan Turner, it was easy to overlook the other virtues. His capacity to combine Heathcliffean brooding with matinee idol looks (and that much-feted scene in which, oiled-up and stripped to the waist, he went to mow a meadow) set hearts aflutter and the media into overdrive. And rightly so. In fact, it was often the clench-jawed conviction of Turner’s performance that stopped Poldark slipping into complete ludicrousness on occasion. 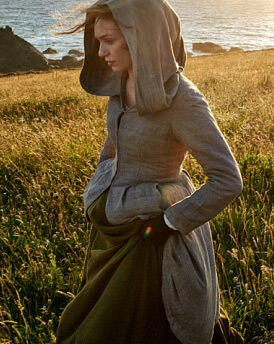 Eleanor Tomlinson shone, too, transforming the nit-infested urchin Demelza into a 21st-century woman at home in 18th-century Cornwall. 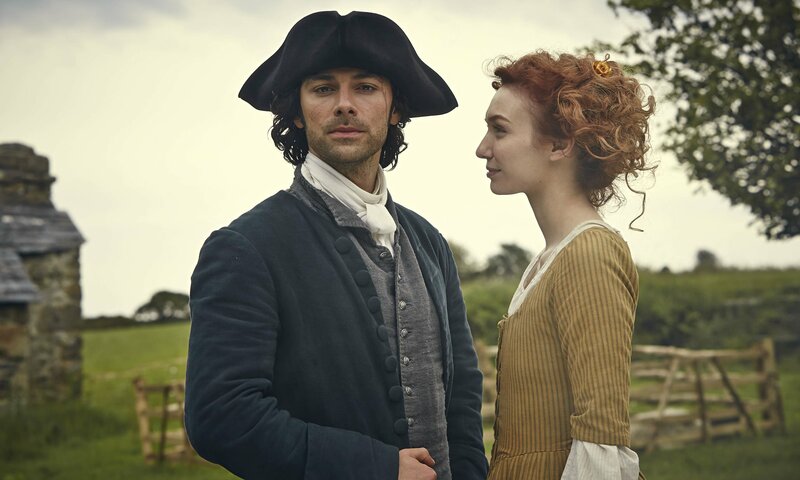 Turner may have got the adulation, but it was the screen chemistry conjured between these two that put much of the fizz into Poldark. Never more so than in this episode’s scenes where Demelza, at death’s door momentarily, drew from Ross the confession that she had supplanted his childhood sweetheart Elizabeth as “the love of [his] life”. The only other thing that could have been thrown at this finale to make it more Cornishly dramatic was a shipwreck. And so we got one, handsomely done, as the nasty Warleggans’ new vessel, the Queen Charlotte, foundered on her maiden voyage. Washing ashore not only a bellyful of plunder for Ross’s starving workers, but a gratifying note of poetic justice done – albeit soon to be whipped away by the winds of fate and that clifftop, cliffhanger arrest. “T’aint right, t’aint fit, t’aint fair, t’aint proper,” some will have chanted, familiar now with the vernacular. But really, it’s hard to imagine a more tantalisingly satisfying ending, containing as it did the promise of a second series (already commissioned) replete with as much high drama as the first. Given that the Seventies Poldark ran to 29 episodes, and Graham’s novels number 12 (only two of which were plundered for this series), it’s safe to assume that not only one more run of adventures, but many, lie ahead for Cap’n Ross and his much-admired chest.